We’ve talked a lot about pre-workout drinks and supplementation, but we haven’t focused much on actual pre-workout meals. Let’s face it; most of us don’t have enough time to spend on preparing a home cooked pre-workout meal or (let’s be honest) we have the time, but aren’t willing to make it a priority. 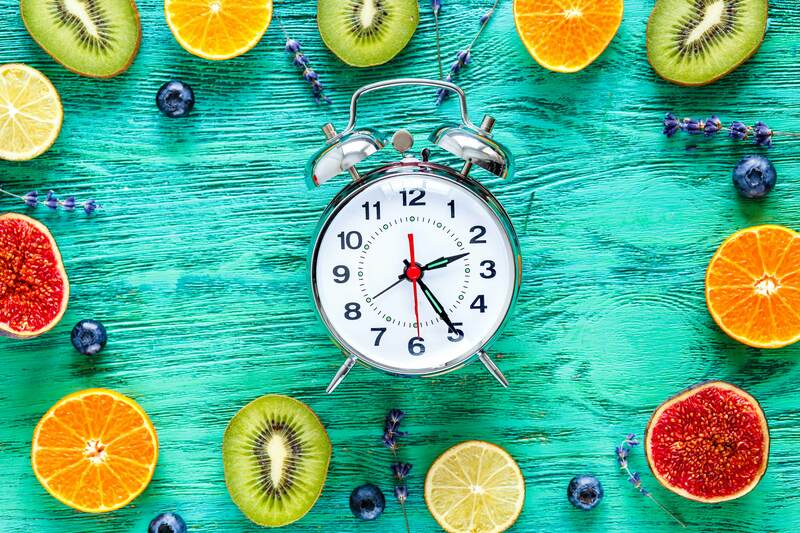 The problem, however, is that failing to ingest the right nutrients before exercise (unless you go the intermittent fasting route) can negatively affect your workout performance and post-workout recovery. If time is legitimately an issue for you, don’t fret. I’m going to share some really great fast food choices that can help support not only your workouts but your weight loss journey as well. Before I delve into five “fast” foods to eat before you exercise, there are two things, in particular, you need to consider: What nutrients will benefit your workout needs and how close you’re eating relative to when you exercise. The goal of a pre-workout meal is to provide the body with the right balance of nutrients to fill you up, fuel your workout and speed up recovery time. 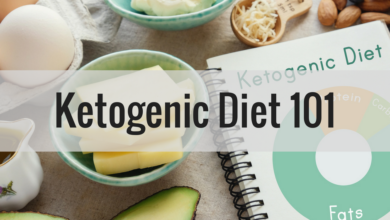 These macronutrients are protein, carbohydrates, and fat. 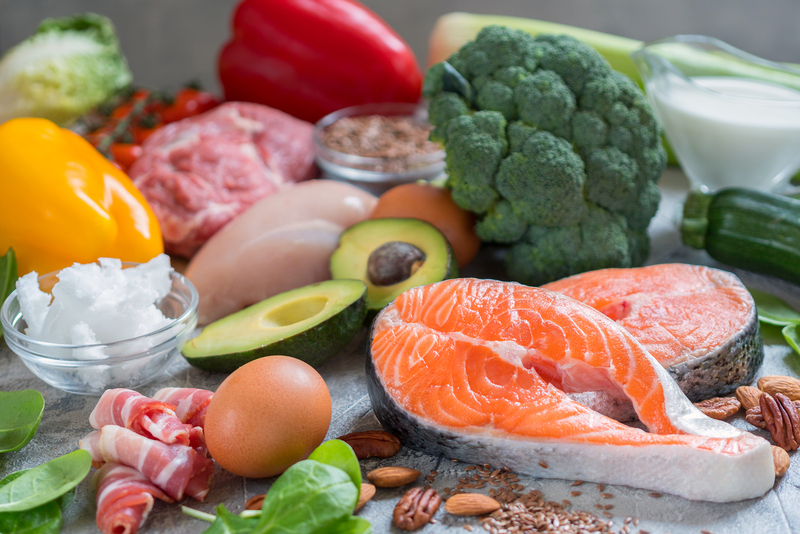 One of the areas that most people can agree on when it comes to pre-workout nutrition is the importance of ingesting a moderate amount of protein (10-40g). Pre-workout protein consumption has been shown to decrease muscle damage (muscle protein breakdown), increase muscle protein synthesis (MPS), speed up muscle recovery, and increase strength and performance. Side Note: Adding branched-chain amino acids (BCAAs), which are the building blocks of our muscle protein, to foods like yogurt and smoothies give your food an extra protein boost. You can find BCAAs, and all the essential amino acids, in our Complete Essentials all-in-one performance powder. Carbohydrates are a bit of a contentious topic because some athletes, trainers, and gym-goers are proponents of a no- or low-carb diet. However, I still find carbs pre-workout to be beneficial depending on the type of workout you’re doing. Here’s why. Our muscles store energy in the form of glycogen. 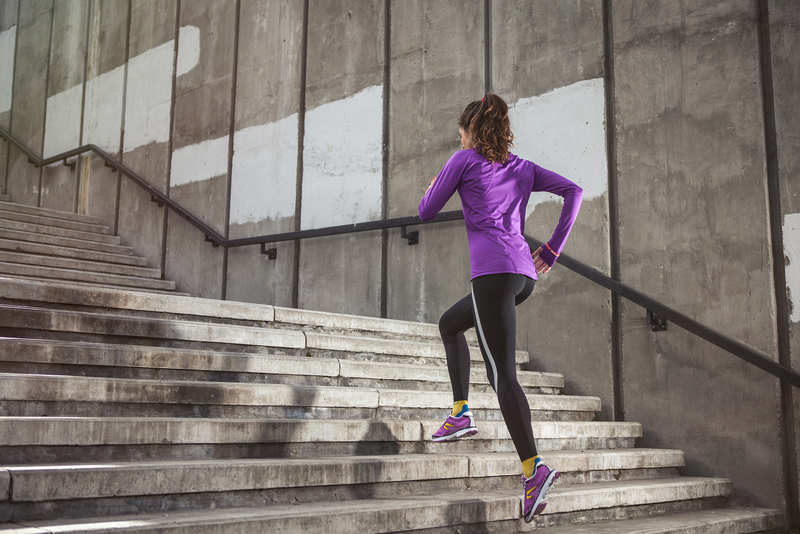 When we work out, our muscle glycogen stores get depleted. Carbohydrates are the most efficient source for replenishing muscle glycogen and therefore maximizing workout energy and work capacity. Carbs become most important if you’re doing a higher volume strength training (think lots of sets and reps) and for quick workout or high-intensity exercise, like HIIT, because they help maximize glycogen stores fast. The amount of fat you choose to consume before you exercise is highly dependent on when you’re eating and your type of workout. Fat takes longer to digest than carbs and protein. As a result, fat provides a longer stream of energy. If you’re eating a pre-workout meal 2+ hours before a workout, you’ll likely want to include some source of fat. That’s also the case if you exercising at a moderate-to-low intensity for an extended period of time (i.e. walking, hiking, biking for 1-3 hours). However, I do not recommend fat if you’re eating a pre-workout meal close to exercise. Fat slows down the digestion process, which means your body will be working harder to digest the fat rather than supply blood flow and muscle building nutrients to your muscles. Most people do the best eating anywhere from 30 minutes to two hours before their workout. The goal is to have great energy and focus for your workout session without getting hungry mid-workout. 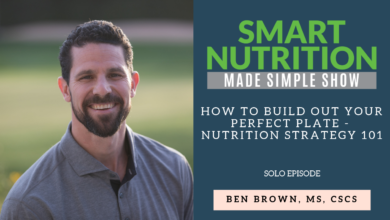 As you can imagine, deciding when to eat your pre-workout meal is highly dependent on the foods you choose to eat and your body’s individual digestion. If you’re eating two hours before working out, you’ll want to eat a complete meal containing carbs, protein, and fat. If you’re eating 30 minutes prior to your workout, you’ll want to eat a smaller meal consisting of easily digestible carbs and some protein, while avoiding fat. In addition to length prior to exercise, the time of day can also be a factor in the pre-workout food you might consume. Personally, when I train early in the day I prefer protein and fats as my pre-workout meal. For example, I’ll eat a whole egg cooked in coconut oil and some veggies. When I train later in the day I prefer eating lower fat and higher carbs, like chicken breast with white rice and veggies. Macros and timing aside, what really becomes important for people is a pre-workout meal that’s relatively quick, easy, and tasty. These top five foods fit that bill, plus they won’t break the calorie bank and can be fully digested to provide good energy for training. You can also find some, if not all, of these foods at any fast food restaurant or gas station. 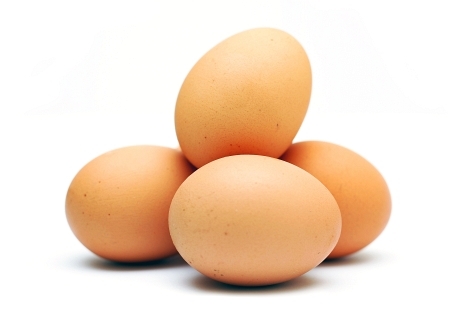 Eggs are rich in high-quality protein and contain a vast array of vitamins and nutrients. Protein improves workout performance as well as increases muscle growth, recovery, and body composition. 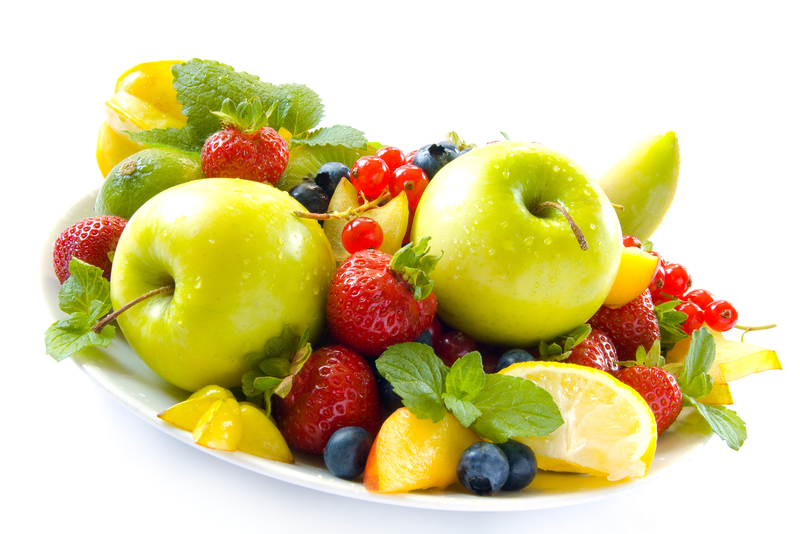 Fruit, which you can eat whole or in a smoothie, contains simple high glycemic index carbs. High GI carbs rapidly spike blood sugar and insulin levels, providing quick energy to your muscles pre-workout. 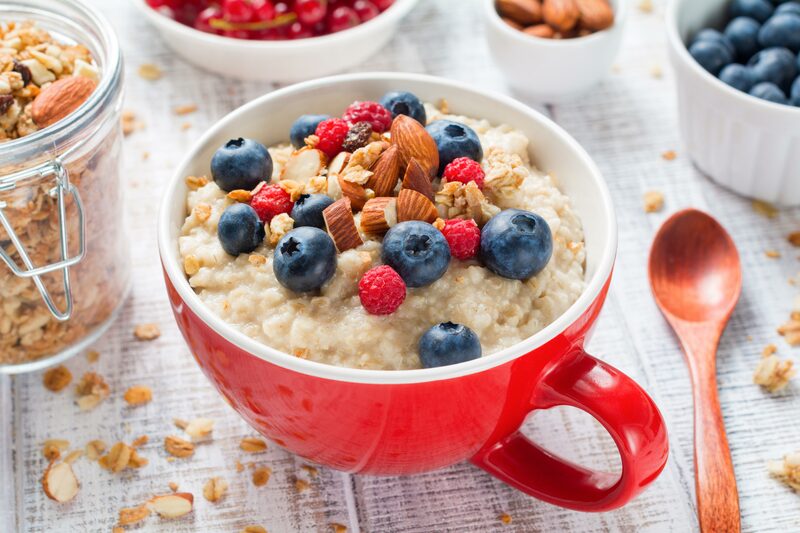 Oatmeal contains complex carbs and fiber, so it will fill you up and provide you with a steady stream of energy for your workout. 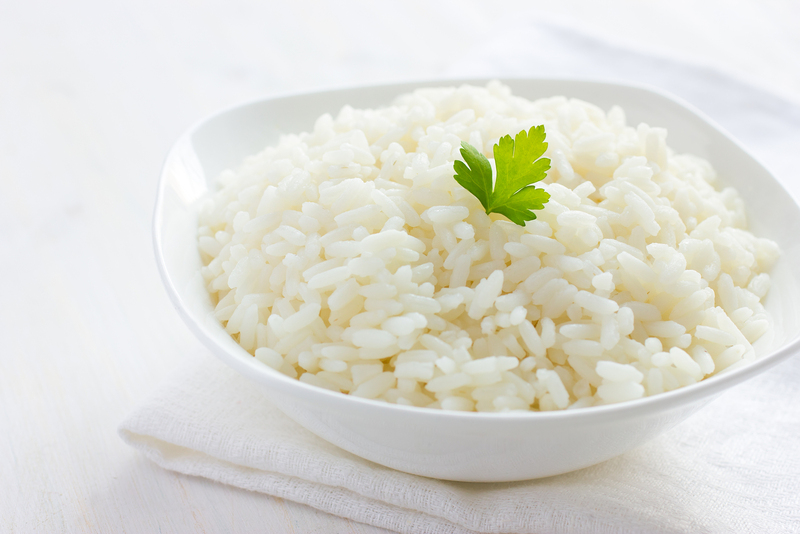 You were probably expecting me to say brown rice, but white rice is another great pre-workout food because it’s full of easily digestible carbs and arguably just as healthy as brown rice. 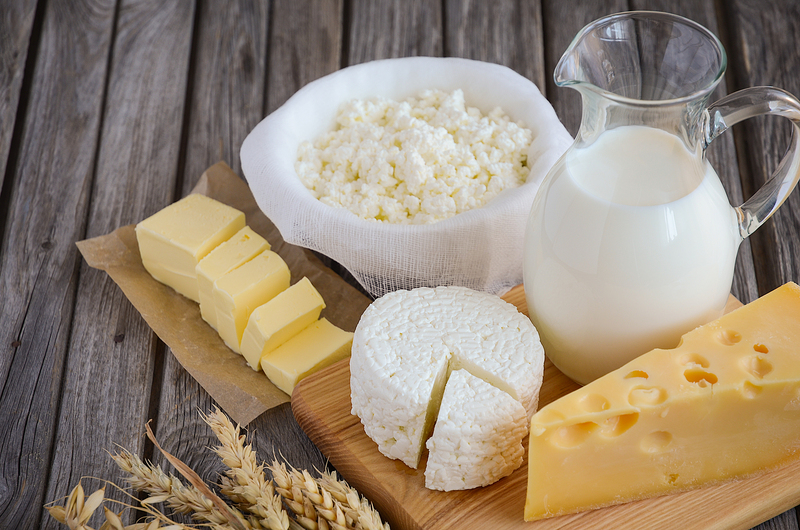 Milk, yogurt (especially Greek yogurt), and cheese are all good sources of protein, simple carbs, and fat. 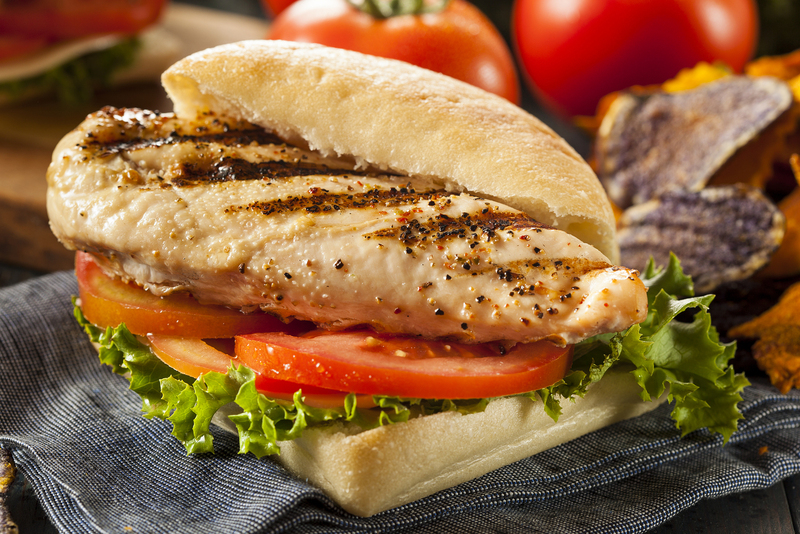 Now that I’ve shared my top five pre-workout foods, here is a list of some easy-to-find “fast” food meals that will power your workout without adding too many calories to your diet. The sandwich, consisting of Canadian bacon, egg, and reduced-fat white cheddar on a gluten-free roll, provides a good balance of protein, carbs, and fats. It’s moderate in calories and is an especially good option if you’re gluten intolerant. There are comparable breakfast sandwiches at most fast food restaurants, including McDonald’s (Egg White Delight McMuffin) and Chick-fil-A (Egg White Grill). You just want to opt for egg whites, ham or turkey instead of fatty bacon or sausage, and no or a small amount of fat from white cheese. 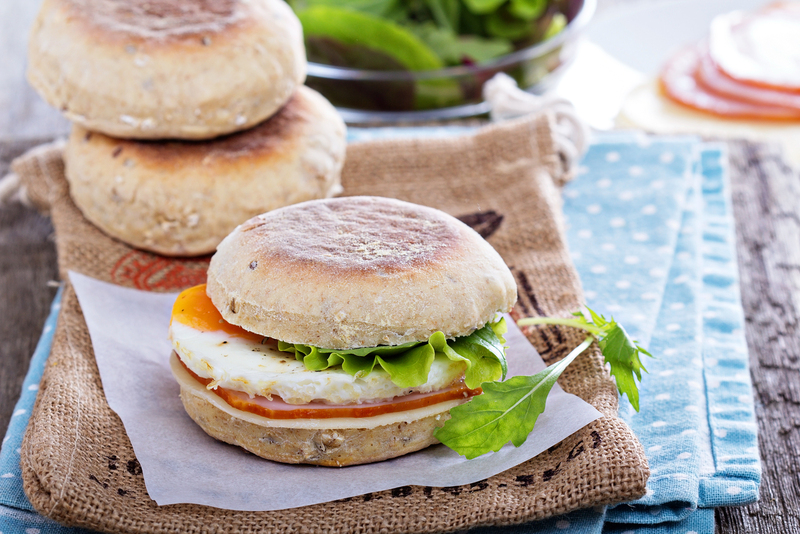 Limit the bread to a wrap or small English muffin to keep your calories and carbohydrates in check. This is another great breakfast option for you. The oatmeal, which contains a mix of whole grain rolled oats and steel cut oats topped with fresh blueberries, nuts, seeds, and agave syrup (a low glycemic index natural sugar), has ample carbs and fiber. Add some Greek yogurt or a scoop of protein powder to give your oatmeal a protein boost. Jamba Juice also serves up organic steel cut oatmeal that’s slow-cooked with soymilk. Additionally, you could consider the steel cut oatmeal with strawberries and pecans at Panera, blueberry almond oatmeal from Caribou Coffee, or Chik-fil-A’s multigrain oatmeal with toppings. 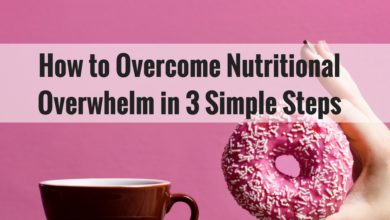 Note: watch out for the “toppings” and add-in’s as these can often pack a serious sugar and caloric punch that may not fit with your weight loss/training goals. Fresh fruit, full of fast-acting simple carbs and fiber, coupled with carb- and protein-rich yogurt, especially Greek yogurt, is a really easy, no-fuss pre-workout meal. You can find fresh fruit cups and yogurt, or fruit and yogurt smoothies, at a number of fast food restaurants, and even some gas stations. 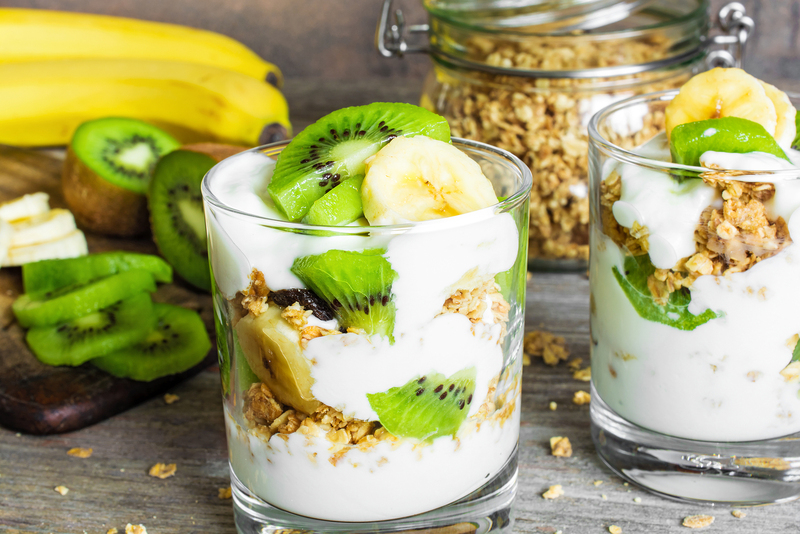 If you have a longer, more intense workout, you may need to double up on the fruit and yogurt to provide enough calories to fuel your session. OK, so this isn’t exactly a meal, but more of a meal replacement. 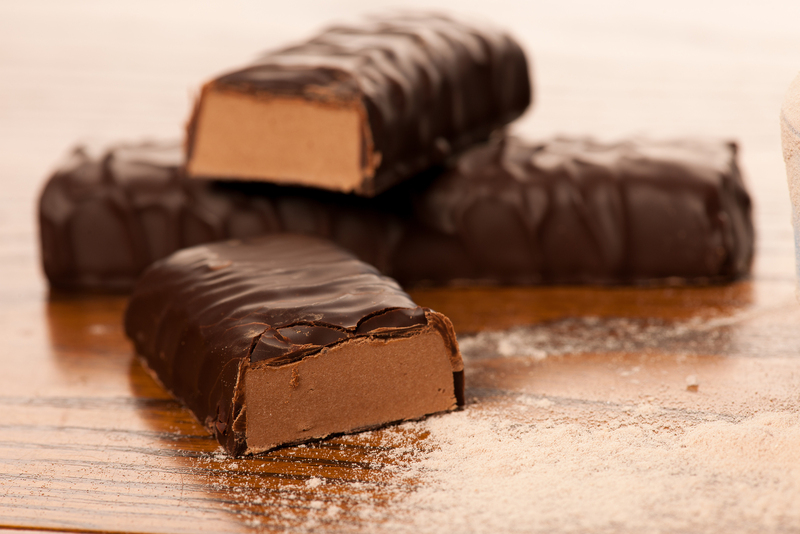 Some of the easiest protein bars to find in supermarkets or gas stations are Kind Bars, Lara Bars (both pretty low in protein), or Quest Bars (higher in protein and fiber). For workouts later in the day, stick to protein, vegetables, fruit, and rice. For example, you could get a chicken breast sandwich with veggies from Subway or a grilled chicken sandwich from Wendy’s. Another easy option is turkey slices or beef jerky, a piece of fruit, like a banana or berries, and a small bag of nuts or cheese stick. You can easily find these ingredients at a gas station or convenience store. Whether you prefer a pre-workout meal or a pre-workout drink, what you ingest before your workout can make a big difference in your performance and recovery. Carbohydrates, like oatmeal, rice, fruit, and dairy, help maximize glycogen in your muscles for short and/or high-intensity workouts. Protein, like what you get from eggs and dairy, prevents muscle protein breakdown and promotes muscle protein synthesis. Fat, which you can get from eggs and dairy, helps fuel your body for longer bouts of exercise. Eating a healthy, nutritious, pre-workout meal can be challenging, especially if you’re short on time. 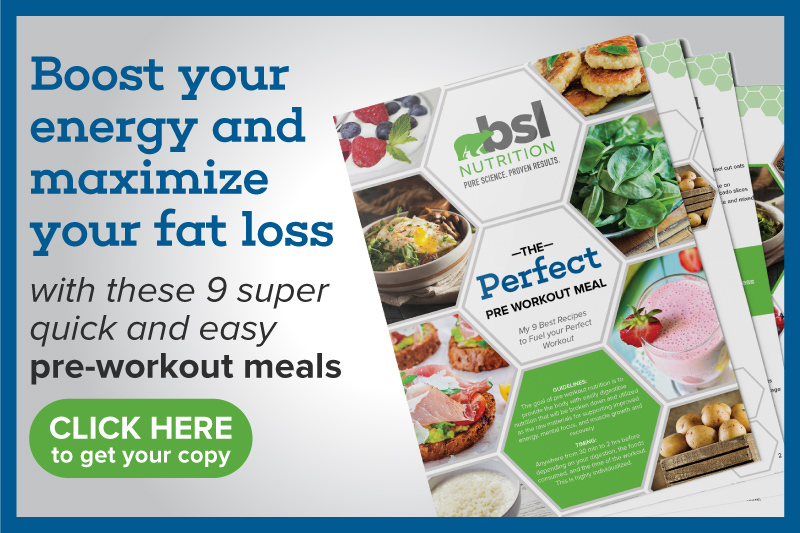 But hopefully, you feel a little bit less intimidated knowing that the five “fast” food options mentioned above are all great choices to fuel your workout.